Candy making is quickly becoming a lost art, but at C&C Candies and Country Store, you can find everything you need to rediscover the delicious skill of in store made candies. Among the over 2000 affordable molds, you’ll find many unique and hard-to-find items for your candy creations. Unlike other stores that might leave you to your own devices, you’ll not only get your needed supplies, but also personal instructions. So if you’d like to perfect your candy craft we’ll also provide you tips so your creations turn out perfect every time. Just ask one of our knowledgeable employees and you’ll get exceptional service with a smile. Want to Buy Sweets Rather Than Make Them? • Chocolate coated pretzels to name a few. You’ll find Opera Fudge straight from Lebanon, PA and a huge selection of Ashers Chocolates for that perfect gift…or just to satisfy your own sweet tooth. C&C Candies and Country Store also offers penny candy not available at conventional stores, Remember candies like Wax Bottles, Teaberry Gum or Sky Bars? Don’t just walk down memory lane. 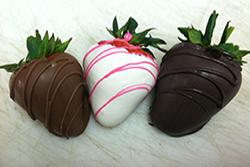 Bring your taste buds along for the journey at C&C Candies and Country Store. 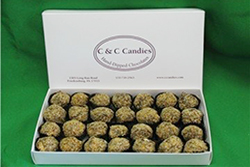 So whether it’s candy supplies, our homemade candy or yesteryear candy you loved as a child visit us today or use our order form so your order is ready when you arrive.